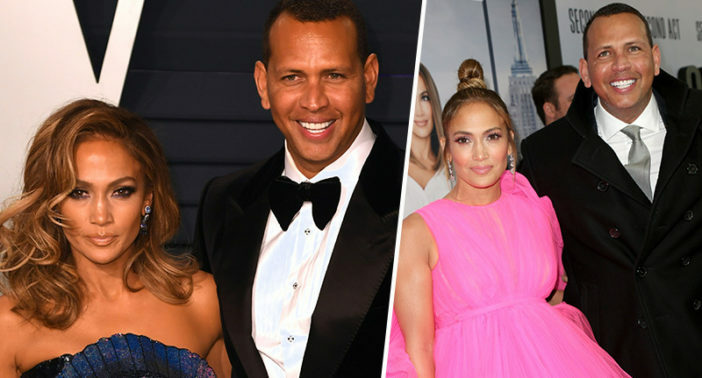 Jennifer Lopez is now engaged to boyfriend Alex Rodriguez, and the ring is quintessentially JLo. Former professional baseball player Rodriguez, 43, announced the exciting news with a sweet Instagram post with the simple caption, ‘she said yes’. The photograph shows Rodriguez tenderly holding Lopez’s hand in his, a huge emerald cut diamond glittering on her finger. Lopez, 49, shared the same pic on her own Instagram, captioning it with a series of love heart emojis. It appears the photograph was taken on a beach, suggesting a romantic seaside proposal. Lopez’s long time manager, Benny Medina, has since confirmed news of the engagement to ET. Fans have rushed to offer their congratulations to the celeb couple, who became an item in February 2017. Jlo and Arod are engaged and my life is complete!!!!! Why do I feel like I’m engaged too lolllll!!!!! AROD AND JLO ARE ENGAGED I AM CRYING OF HAPPINESS!!!!!!! An insider told People how Rodriguez got down on one knee during a romantic getaway in the beautiful Bahamas. It’s good, it’s healthy; we communicate well. We understand each other’s lives in a way that most other people couldn’t. We both entered the public eye in our early 20s and overachieved right from the start. And that affects every dynamic in your life, from your family to your work to your relationships. We have a similar makeup.